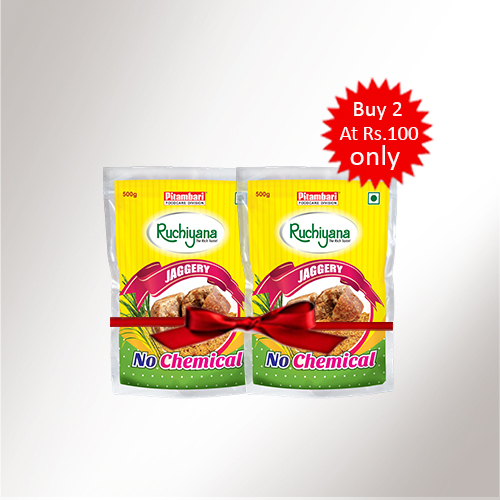 Pitambari Ruchiyana jaggery powder Buy 2 @ Rs. 100 only. • Naturally processed (No chemicals). • No added natural or artificial color, flavour. • No added artificial sweetener. 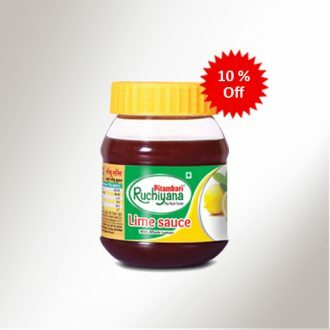 Ruchiyana Jaggery is a superior quality product produced from sugarcane juice. It is rich in minerals, Iron, & vitamins. It does not contain sulphur dioxide powder, hence safe for consumption. It helps to regulate your digestive system, plus you will not face gas problem after consuming Jaggery. That’s why many people prefer eating jaggery after a meal. It acts as a detox, as it helps cleanse the liver by flushing out toxins from the body. One spoon of jaggery daily can help women combat PMS symptoms including mood swings, menstrual cramps and abdominal pain. 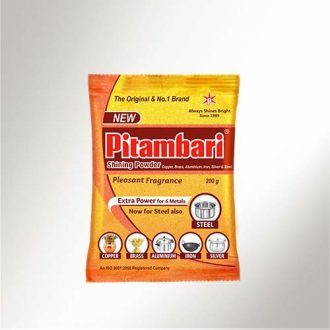 It not only helps to bring glow on your face but also reduces pimple problem. Jaggery Ladoo is the best option if you have a cough & cold. Or if you mix Jaggery in Tea, it will be beneficial too. Jaggery acts as a natural sweetener and provides energy over an extended period of time, You will not ever feel tiredness after consuming jaggery. And it will help to generate heat in your body. Jaggery has qualities to fight against any kind of allergy. Jaggery is very useful for Asthma patients. It is very effective on Throat diseases if consumed a hot mixture of Jaggery and Ginger. It is produced from sugarcane variety of CO86032 which imparts perfect sweetness to jaggery powder. Ruchiyana Jaggery is passed through various quality control checks as per FSSAI and packed in hygienically conditions. In rural Maharashtra, water and a piece of jaggery are given when someone arrives home after working in the hot sun. The jaggery (gud) gives you the energy in form of glucose, refreshing you, and it can pump up the iron contents in your blood. This increases oxygen uptake in the body and relieves tiredness in summer.